You know the way the web works. 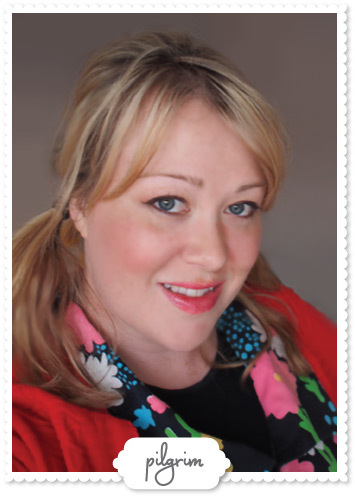 Your online friend who you met through an e-course has a blog with a great logo and design that you admire. Said friend tweets about artist who designed logo and with great interest you click on artist's blog. You immediately fall in love with everything on the site, discover another mutual online friend in common, read dozens of archived posts, get all fan-crazy over it all, then discover that artist is also living in Australia! And voila - another Australian Artist Spotlight is born, profiling the ridiculously cool draw! pilgrim. Now this is my kind of art. 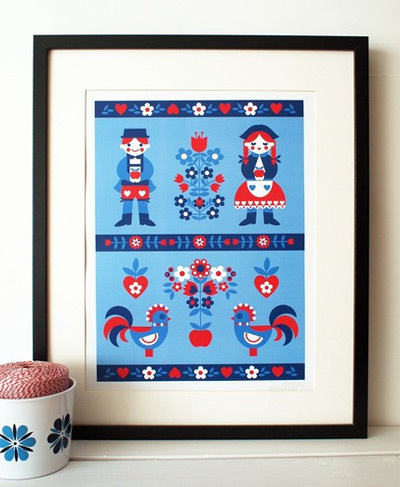 Folksy, bold, graphic, retro and sweet as can be. Born in Adelaide and now living in Melbourne, Pilgram is a freelance artist with a love of all things 1960's-70's. Her influences include "heinz edelmann’s yellow submarine, the designers behind push pin graphic, marimekko, alexander girard and the bold fabrics etc. of the era". 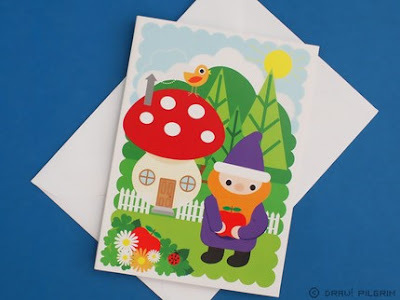 Pilgram's signature style can be found gracing A3 and A4 prints/posters, tote bags, mini cards adn tags. Her bright colour combinations and fun designs lend themself to children's rooms (how can you choose just one?) but are cool enough for any room of the house. 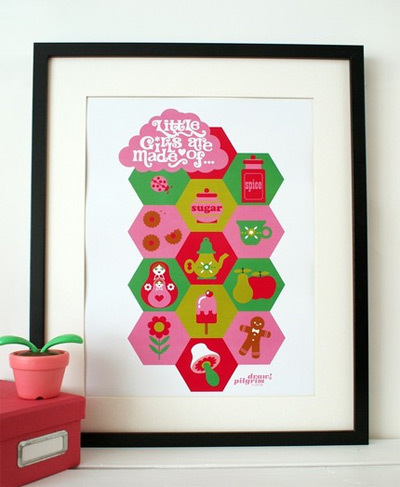 My absolute favourite pieces are the individual letter prints from the alphabet series. I think I've found my new go-to newborn gift idea. 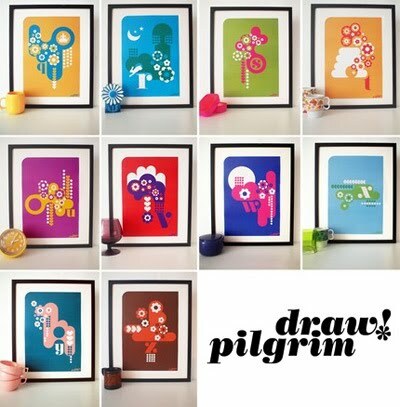 If you love Pilgram's style, you can find draw! pilgrim artwork in the etsy store. Check out the draw! pilgrim blog for more art and lovely things. Oh Steph I adore Pilgrim! I have two of her prints hanging in my kids' rooms and she is actually working on a little logo for me at the moment. She is also a total sweetie!! I have a bit of a crush, too! awww, love! thanks guys. what a lovely post by steph and such nice comments. you all rock!